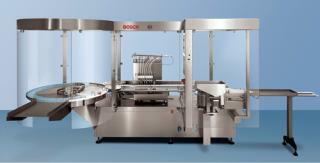 Bosch Packaging Technology has been supplying the pharmaceutical industry with final fill solutions for over 30 years. During that time, Bosch has continued to focus on quality and industry-leading customer-focused solutions that provide the best return on investment over time. Bosch is the premier supplier of final fill–finish solutions to the pharmaceutical industry. As a single-source supplier with the industry’s widest portfolio of solutions, Bosch can supply the type and scale of equipment you require. We offer systems for bulk syringes, vials, ampules, cartridges, and prefilled syringes from laboratory scale to high-speed production. Our project management team will work with you as your system is pretested in our facility to ensure that it performs as promised before delivery. With the acquisition of SBM, Bosch now offers a full line of sterilizations systems. Specially made for the rigors of the pharmaceutical industry, Bosch sterilizers are designed for maximum output with a robust design that will provide an excellent track record of reliable service. Available systems use either water or steam depending on your requirements. Without a reliable source of clean steam and water, your operation can’t run at peak efficiency. 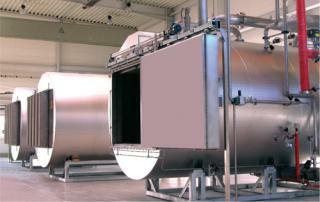 Bosch offers ultrapure steam and water generation and storage systems. These efficient systems are both reliable and cost efficient. A new capability at Bosch is device-assembly systems. Look to Bosch for your solution for pharmaceutical or medical-device assembly. With Bosch’s vast experience in pharmaceutical production and automation, our systems are designed with the highest quality and space efficiency in mind. 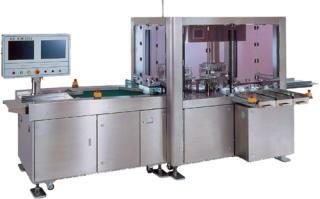 Automated and manual inspection systems have become much more common in today’s manufacturing. Bosch Inspection Technology offers a full line of inspection systems to ensure that you are putting out the highest-quality products possible. The Bosch PreVAS single-use product path for final finish operations is an industry-leading design incorporating all tubing, fittings, needles, and other pieces in a custom-designed presterilized, preassembled package. Single-use systems are currently available for both peristaltic systems and rolling diaphragm pumps. The latter incorporates a unique single-use pump. Single-use systems are cost-effective alternatives to difficult cleaning processes and ensure that no cross contamination occurs. Dave Cousins is director of sales at Robert Bosch Packaging Technology, 8700 Wyoming Ave N, Minneapolis, MN 55445, USA, 1-763-424-4700; www.boschpackaging.com; http://boschpackagingpharmana-blog.com.